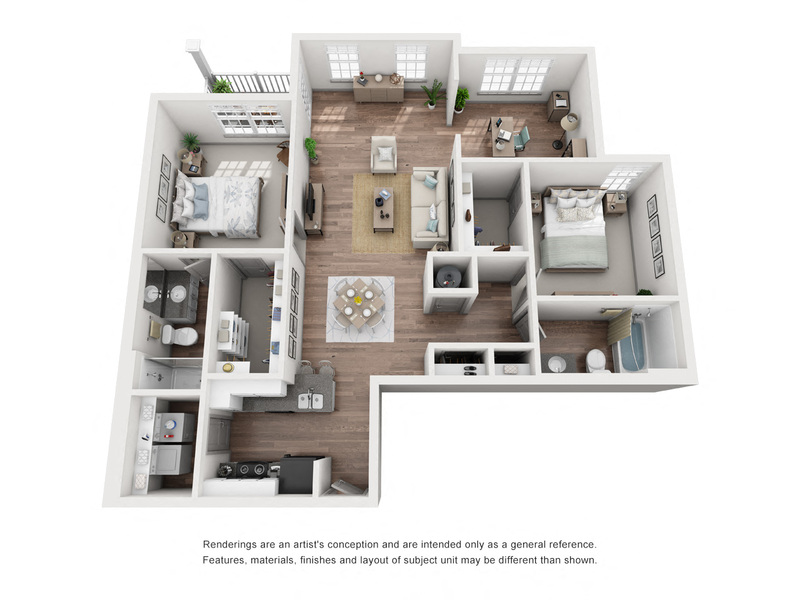 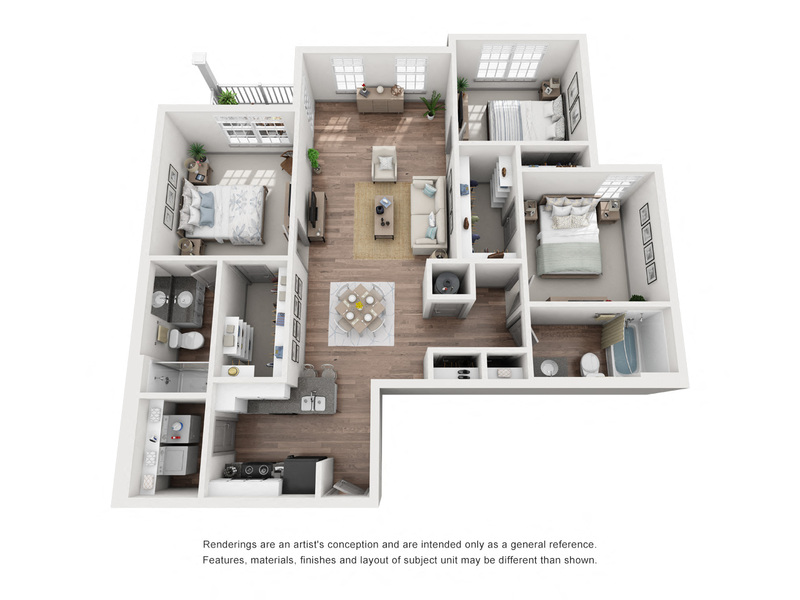 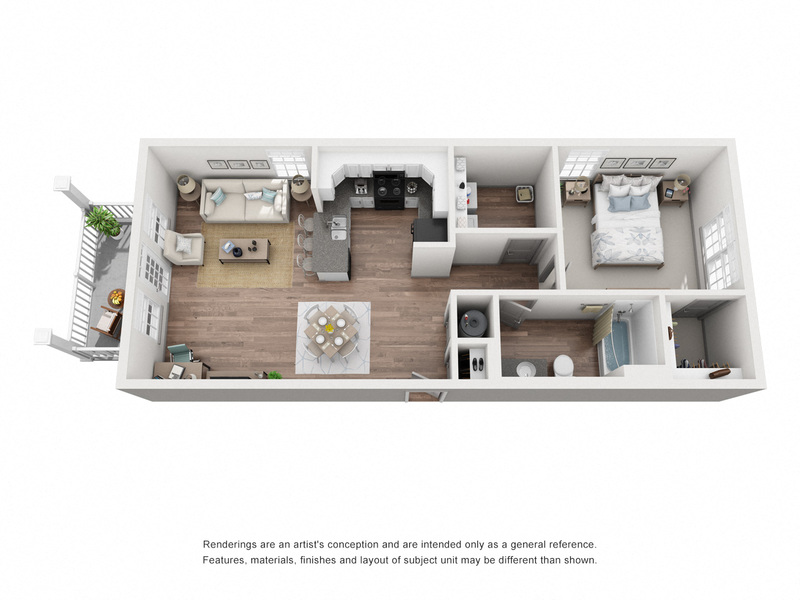 At Double Creek Flats, we have spacious one to three bedroom floor plans that will fit your lifestyle. 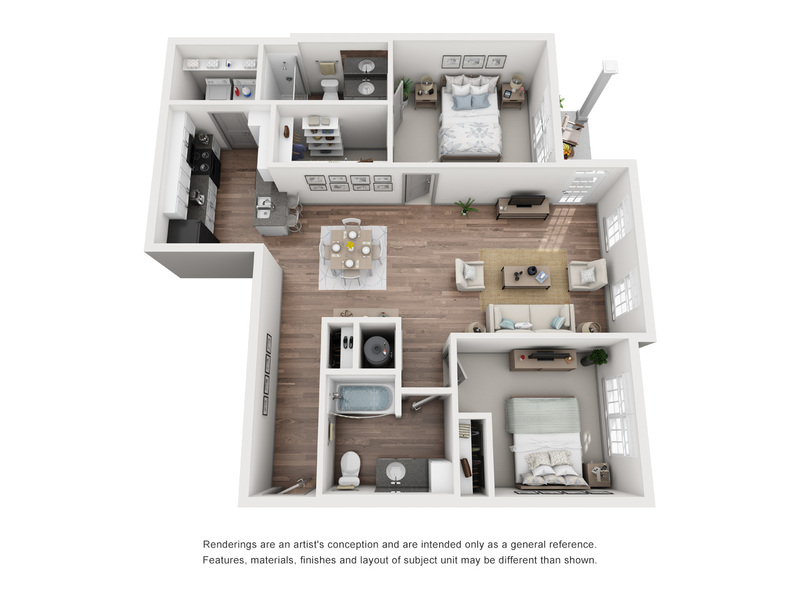 Our modern homes have stylish interiors, such as hardwood-style flooring, granite counters, designer cabinetry, and nine-foot ceilings. 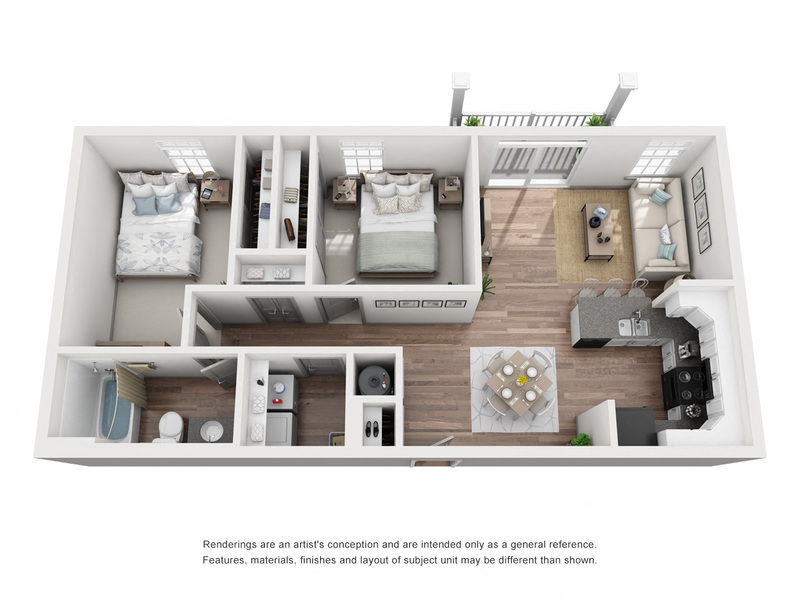 Our open-concept floor plans feature a patio or balcony, a fully-equipped kitchen with ice maker, and plenty of windows for natural light.